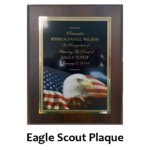 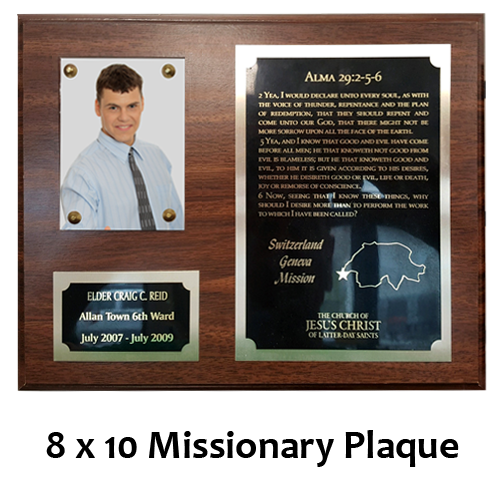 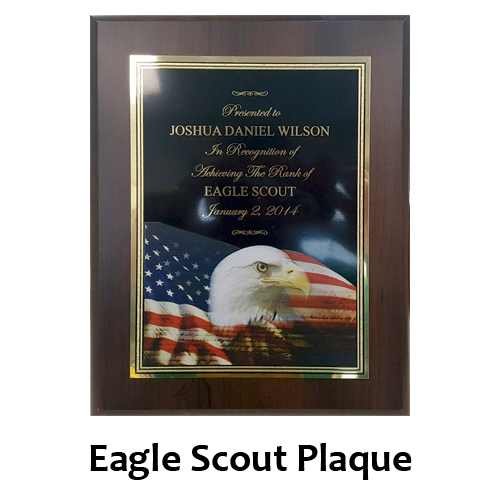 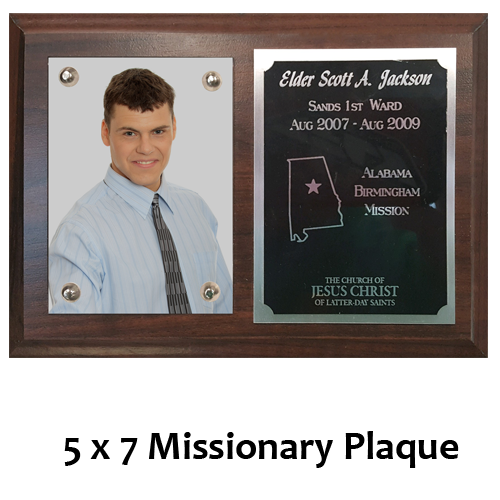 Display your missionary’s call to serve with this cherished plaque. 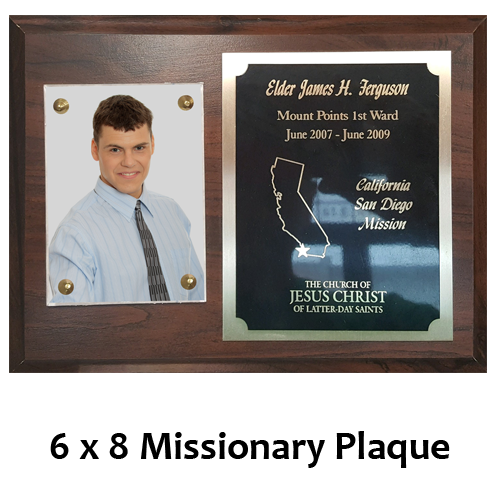 It can be customized with a wallet-size photo, your missionary’s name, dates of service, favorite scripture (8 x 10 and 7 x 9 plaques only), and the map of the area they serve. 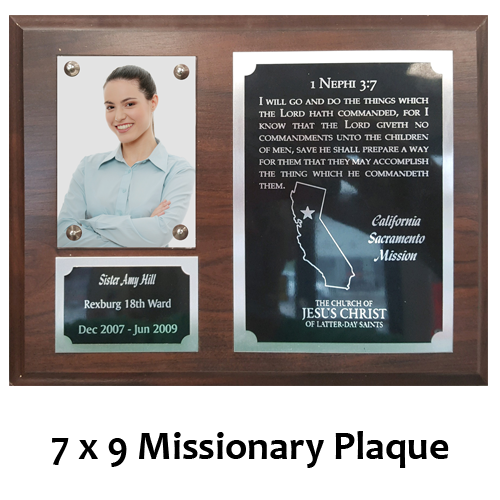 Available in Gold or Silver finishes.